Whilst researching a chapter for my new book (you can get an idea of how the book will go by reading this article here) I came across a fascinating company called Undercurrent. One of the key players in the firm is a guy called Aaron Dignan. You can follow him on Twitter here. Do you really understand Facebook? 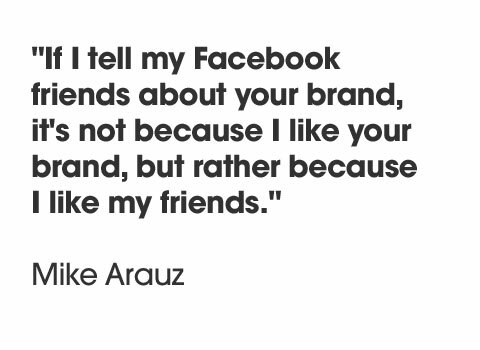 This simple quote sums up the new world order of branding. It is not about you. Consumers really don’t care about you and your brand. There are so many brands out there that consumers are no longer buying into brands in the same way as they did before. There are exceptions but on the whole, the world is changing and brands can no longer expect to have the loyalty they used to take for granted. Do you agree?